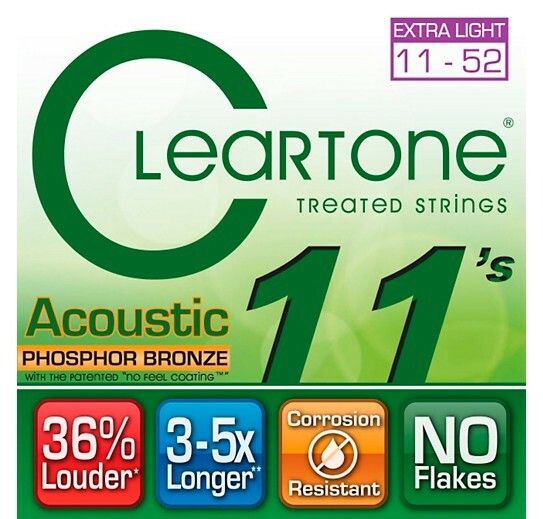 All Cleartone Strings feature a patented micron thin treatment that is designed to help strings last 3-5 times longer than uncoated strings. All Cleartone Strings feature a patented micron thin treatment that is designed to help strings last 3-5 times longer than uncoated strings. It's the thinnest coating in the industry and applied to all 6 strings so there is no thick layers of material to dull your playing experience.